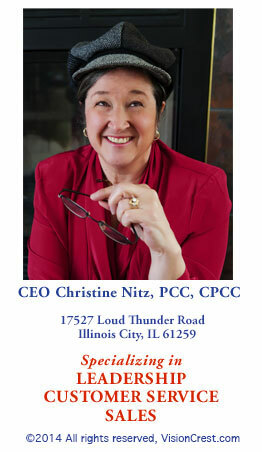 CEO Christine Nitz, PCC, CPCC is an engaging speaker who combines her unique sense of humor and storytelling to illustrate important lessons in life, leadership and the pursuit of business excellence. While her delivery is lively and humorous her stories provide practical lessons in leadership, teamwork, parenting and relationship building. Christines programs are appropriate for leadership institutes, sales and business conferences, training and development seminars and professional society special events. Click the audio button to hear a short excerpt from The Professor Paradiddledigm Chronicles: Early Leadership Lessons From the School of Hard Knocks. In addition to keynote addresses, the Professors stories illustrate important lessons in the Beyond Leadership: Coaching Your Staff to Optimum Performance courses, and as short leadership lessons for corporate newsletters. Subscribe to monthly newsletter articles illustrating key leadership principles, change management pointers and team building lessons. Many are taken from Professor Paradiddledigms Leadership Lessons from the School of Hard Knocks providing a humorous approach to important lessons for individuals and organizations. Select Contact Us to request more information. VisionCrest trainers are certified facilitators who deliver highly interactive, creative and results-oriented programs that will transform the way your organization does business. Do you have trouble getting everyone to one location? Many programs lend themselves to alternate delivery methods that can accommodate your geographic diversity. Click Training for more information about specific programs in leadership, communications, sales, team leadership and supervisory skills. Read what clients have to say about VisionCrest programs and facilitators. If you're totally satisfied with your life; you probably aren't ready to work with a coach. However; if you believe there's no limit to what's possible - coaching is the next step towards going above and beyond your current horizon. Click the Executive Coaching link for more information and to see the results of a year-long study showing the impact of coaching on sales performance.